On December 18th, the Russian Ministry of Foreign Affairs announced that 75 officers of Russia’s armed forces are quitting the Joint Center for Control and Coordination of the Ceasefire in Donbass stationed in Soledar (Ukrainian-occupied DPR territory). Further work of the Russian officers in the JCCC has been deemed “impossible” due to their lack of jurisdiction and an intense psychological and political atmosphere. According to Russia’s defense ministry, the Ukrainians have deliberately impeded Russian officers from carrying out their duties. Their freedom of movement has been severely restricted, and Ukrainian spies have accompanied the Russian officers wherever they go. The straw that broke the camel’s back, however, was Ukraine’s Verkhovna Rada’s adoption of a new law on Russian citizens visiting Ukraine set to enter into force on January 1, 2018. In particular, this new law compels all Russian officers from the JCCC visiting Ukraine to disclose all information on their place of birth, the location of their families, their service and training records, etc. In other words, Russian officers helping to monitor the ceasefire have been subjected to overt psychological pressure and their families could be put in danger. The JCCC was established to resolve practical problems facing the OSCE’s Special Monitoring Mission, whose employees initially appealed to Russian officers from the JCCC to handle communication with the command of the armies of the Donetsk and Lugansk People’s Republics, as well as coordinate the routes of international observers. Russian officers therefore fulfilled the role of intermediaries, insofar as the Ukrainians and OSCE SMM are not in direct contact the unrecognized DPR and LPR. This scheme is far from convenient, but it was accepted as necessary in the midst of the critical situation in Donbass. The history of the monitoring mission in Donbass is a shady one. In late April 2017, an American citizen working as an observer for the OSCE SMM was killed in an explosion when he ignored the rules on movement around the village of Prishin on the frontline between the LPR and Ukraine. The People’s Militia of the LPR provided convincing evidence that a Ukrainian sabotage group was involved in the American’s murder, but the case was hushed up. Moreover, repeated cases have been exposed in which Ukrainian attacks directly correlate with the observatory missions of the OSCE, whose employees always manage to leave the scene before Ukrainian shells come raining down. In Avdeevka last year, OSCE employees were caught hanging around Ukrainian tanks in residential areas. A direct consequence of the withdrawal of Russian officers from the JCCC will be the complication of the OSCE SMM’s work, and, as follows, increasing danger facing its employees. However, there is an more distant, but even more dangerous prospect visible on the surface of this turmoil. In my opinion, this event speaks to a sharp increase in the threat of war breaking out. To be more precise, it suggests that we are nearing the beginning of a new war in Donbass. Over the past two and a half years since the Debaltsevo cauldron and signing of the second Minsk Agreements, the Ukrainians have steadily amassed military vehicles and soldiers along the borders of the Donbass republics. Their troops have been instructed and trained by NATO officers. In Ukraine, de-facto NATO operational bases have been established (contrary to Ukraine’s constitutional law on non-aligned status), and the US has established a naval base in Ochakov. In other words, the Ukrainians have used the breathing space provided by Minsk 2 to increase their army’s combat capability and foreign backing. Meanwhile, Ukraine’s offensive actions have been bolstered by the diplomatic support of the US’ special representative on Ukraine, Kurt Volker. In view of all of this, the possibility of a new, full-scale war breaking out in winter or early spring next year looks all the more realistic. My opinion on this matter coincides with that of the First Deputy Chairman of Russia’s Federation Council’s Committee on Defense and Security, Franz Klintsevich. 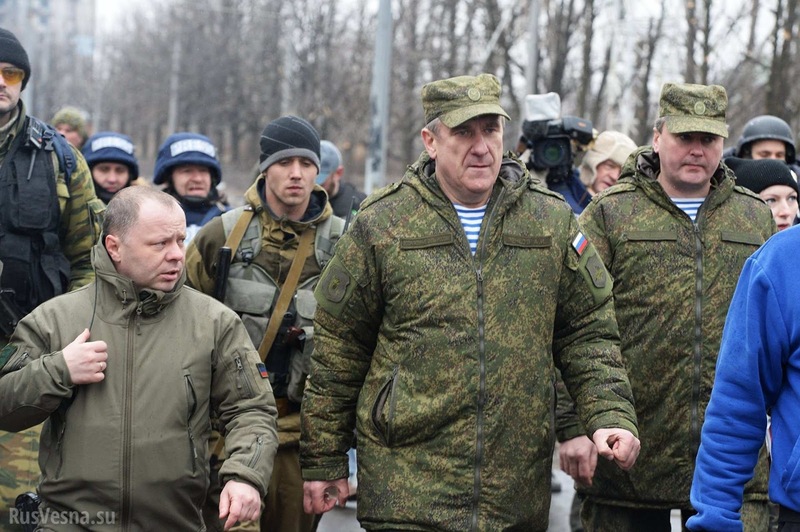 In an interview on December 18th, Klintsevich stated that Russian officers’ withdrawal from the JCCC would lead to Ukrainian authorities trying to directly and without intermediaries engage the DPR and LPR. Kiev, however, as recent history has shown, is in no position to hold peaceful negotiations with the Donbass republics, and therefore would likely unleash full-scale military operations. The probable consequences of this step have likely also been calculated in Kiev. For Ukraine, it is important to pretend that it has no intention of impeding an international peacekeeping mission in Donbass, for which it has been lobbying, and claim that it has by no means obstructed the freedom of movement of Russian officers from the JCCC. Yet on the very same day of December 18th, news arrived that the leaving Russian officers had been held up from departing for DPR territory, allegedly (according to Ukraine) due to shelling coming from the direction of the Donetsk People’s Republic which could have “threatened their lives and security.” Thus, the Russian officers in effect became hostages held on Ukrainian-occupied territory on questionable, unverified grounds. This instance is a harrowing foreshadowing of what is to come. Fort Russ and I will be closely monitoring and analyzing further developments. 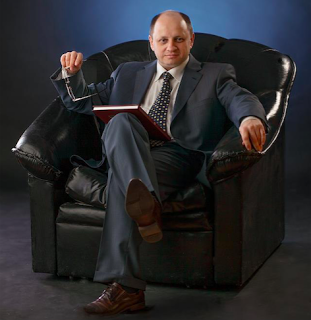 Eduard Popov is a Rostov State University graduate with a PhD in history and philosophy. In 2008, he founded the Center for Ukrainian Studies of the Southern Federal University of Russia, and from 2009-2013, he was the founding head of the Black Sea-Caspian Center of the Russian Institute for Strategic Studies, an analytical institute of the Presidential Administration of Russia. In June 2014, Popov headed the establishment of the Representative Office of the Donetsk People’s Republic in Rostov-on-Don and actively participated in humanitarian aid efforts in Donbass. 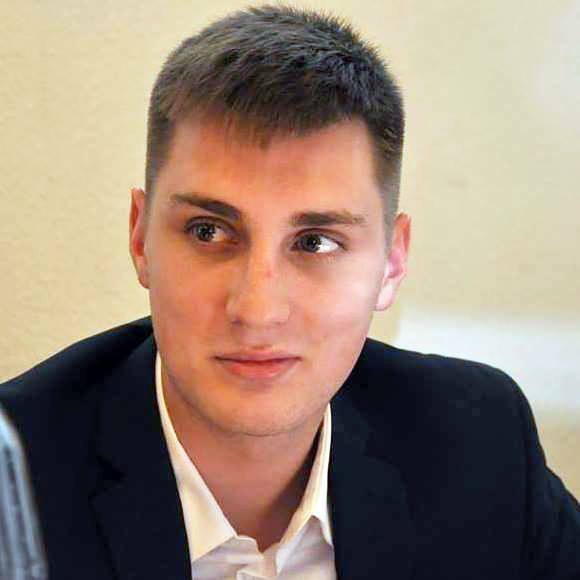 In addition to being Fort Russ’ guest analyst since June, 2016, Popov is currently the leading research fellow of the Institute of the Russian Abroad and the founding director of the Europe Center for Public Initiatives. Jafe Arnold is Special Editor of Fort Russ, Special Projects Director of the Center for Syncretic Studies, and the founding Editor-in-Chief of Eurasianist Internet Archive. Holding a Bachelors in European Cultures from the University of Wroclaw (Poland), Arnold is currently undertaking his Masters in Western Esotericism at the University of Amsterdam.